On 1-3 March 2017, the biggest contributors of the agrochemical industry in China and worldwide are gathering at one place, to place the tracks for the agrochemical market in 2017. The 18th China International Agrochemical & Crop Protection Exhibition (CAC 2017) will be held in Shanghai. The event comes together with the 18th China International Agrochemical Equipment and Crop Protection Equipment (CACE 2017) as well as the 8th China Fertiliser Show (FSHOW 2017). These exhibitions are an inevitable platform for all enterprises that do business in the agrochemical market in China. They serve as the meeting point for businesses to achieve trade, exchange, and cooperation with China’s agrochemical players. After those manufacturers, partly endured losses in profits throughout the year 2016, 2017 is seen by many experts as the downturn of the depressive market situation, resulting in higher prices, increasing demand, and flourishing imports/exports. CCM, a Chinese market intelligence company with focus on China’s Agrochemicals market, reveals the most important trends for the year 2017 and recommends, what companies can expect from the CAC 2017 and do to achieve their goals in the pesticides market in China, 2017. The CAC was first launched in 1999 and has become since then the world largest agrochemical exhibition. After the depressing year of 2016, the exhibition especially opens a window for the Chinese agrochemical enterprises to get their food into international markets. The market situation of pesticides in China in 2016 can be summarised as a declining growth rate in revenues of many Chinese pesticides manufacturers, combined with a globally weak market demand, and falling prices of pesticides, which led to a depressed market situation in general. Chinese producers, however, kept their production high, leading to even lower prices and an oversupply status. Common crop diseases in China went down up to 20% for some occurrences, resulting in a significantly lower prevention and control measurement of the government and farmers and therefore in a weaker demand for pesticides. Additionally, China’s plan of zero growth of pesticides consumption till 2020 and actions on pesticides reduction and phytotoxicity control supported the weak demand for pesticides in the past year. Technological advancements have replaced many old pesticides which were used in a large amount of China’s fields before, with high efficient, low toxic, and low residual pesticides as well as high efficient crop protection machinery. These new methods need much lesser use of pesticides in general, weakening the demand once more. China’s increasing efforts in environmental protection have forced several enterprises to limit and shut down productions and implement expensive waste disposal machinery, increasing the costs of these enterprises and lower their profits. The demand for pesticides overseas was hovering on a low level, mainly due to the El Nino weather phenomenon, which disturbed the agriculture in some countries of South America and Africa. They normally show high demand for agriculture protection commodities. Finally, a rising number of countries are banning several pesticides for usage, decreasing the demand for them enormously. CCM gives four reasons for the depressive export situation from China. The first one is the global economic recession, leading to a slow economic growth, which hurts China as the main pesticides exporter enormously. High costs and weak profitability led to low development of pesticides in China. Thus, the quality could not meet the one of competitors from countries like India, which got market share from China’s pesticide export. Chinese manufacturers furthermore faced high export barriers for pesticides in many countries, which their low-quality pesticides cannot meet. Illegal trade of pesticides kept the price of pesticides down and make fair competition very hard. However, the export decrease of pesticides in China slowed down in the second half of 2016 with expectations to rise again in 2017. Especially the export to South Asian markets shows a lot of potentials. The exports in this region went up by more than 11% YoY and achieved an export value share of almost 30% in H1, 2016. According to CCM, the pesticides industry in China will continue to recover in 2017 and face an improved demand. The zero growth of pesticide consumption of China’s government opens the doors for highly efficient, low toxic, and environmental friendly pesticides as well as the development of them. Traditional pesticides, which contain high toxicity and dangerous ingredients for the environment, are going to be eliminated in the long run. The new environmental protection policies will furthermore support an increasing demand for biopesticides. It is expected, that the total demand for pesticides in China will remain stable in 2017, as long as no huge pest or disease outbreak will occur. The expectation is based on the zero-growth goal for pesticides until 2020, which leads to measurements in green prevention, pesticides reduction, and control technologies. However, changing costs of agricultural production, less effort of Chinese farmers for planting grains, raw material price fluctuations and environmental protection measurements will lead to periodical and regional fluctuations, which on the other hand will not have big extreme. The CAC 2017 will play a huge role in the development of the further agrochemical industry in China. All big players will attend the exhibition, domestic and worldwide. 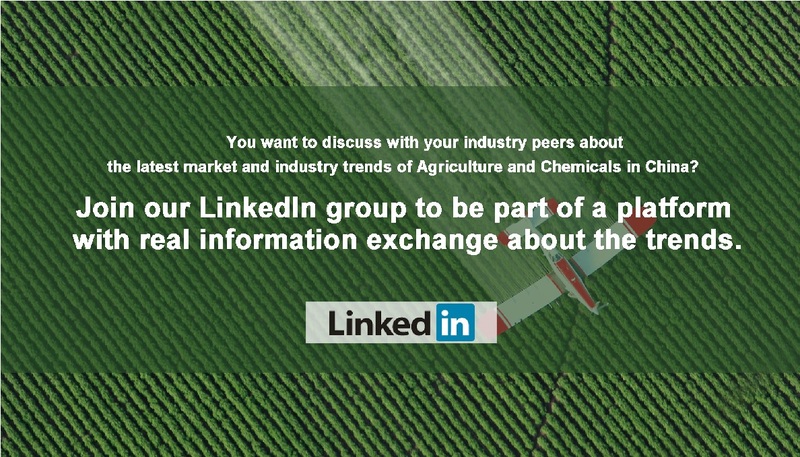 The exhibition contains over 60,000 square meters, offering place for over 1100 agrochemical suppliers from over 20 countries and more than 30,000 industry professionals from over 120 countries. Some of the attending world leading enterprises are Dow Agroscience and Huntsman. Chinese leading manufacturers, that will attend, are Nutrichem International, Jiangsu Huifeng, Sinochem International Corporation, and Shandong Binnong. In the year 2016, five factors have decisively influenced the pesticide enterprise reform. These five factors are also the ones, that will have a massive effect on the development in 2017. The supply-side structural reform is the result of the depressed year for pesticides in 2016 and the large overcapacity, which was facing minor demand. The homogenous competition and the low profits of Chinese manufacturers have then led to the implementation of the reform. The reform is encouraging manufacturers to increase their efforts in better scientific research and innovation, strengthen the participation in market share, have a better resource utilisation rate, and also enhance the overall international competitiveness. As an outlook, industry insiders see in the core content of the No.1 Document, a part of the supply-side structural reform which will be released in 2017, a huge impact on the pesticides market in 2017. According to CCM, the changes of the Regulations on the Administration of Pesticides are affecting mainly the work management of the departments and implement stricter requirements and punishments for nonobservance. In detail, one department will be responsible for one business, which represents a reform of pesticide management. The supervision of the pesticides market will be strengthened, increasing the responsibilities of manufacturers, makes the use of pesticides significantly stricter, and raises the punishments for nonobservant companies and enterprises. This includes a system, where unqualified pesticide products need to be returned, reported and recalled. This new regulation is likely to clear the pesticides market in China in 2017 more and therefore regulates the use of pesticides in general with an effect on many upstream and downstream enterprises. The 13th Five-year Plan (2016-2020) focuses on the enhancement of China’s industrial structure as well as the structure of products, technological innovation, and sustainable growth. This goes by with more attention to food security and international competitiveness. CCM has summarised the plan and filters out the main points. The plan can be divided into five objectives, which are an industrial organisation, products, the establishment of the innovation system, technology, and environmental protection. The major tasks to achieve these goals include the change of the industrial structure and focus on technological innovation. To strengthen the control over the industry, China will enhance the macro-control. To keep up with international competition, the safeguard measures will be more pragmatic and improve stable and healthy development. For 2017, the plan will continue to solve the typical problems of the pesticides industry, like low concentration ratio, overcapacity, weak innovation, and bad waste treatment. The Rectification Action Plan for Pesticides was implemented in April 2016 to ensure more quality of agricultural products and protection of the environment. The plan is supposed to limit or completely ban the use of several pesticides in China, which show high toxicities. It strengthens also the market supervision to stop illegal pesticides and ingredients in legal pesticides. Finally, the public shell is better informed about pesticides and clarified about the risks. In 2017, the Ministry of Agriculture is likely to continue to implement the plan and strengthen enforcement of relevant measures. The policy about the pesticides advertising law gives only manufacturers of registered pesticides the right to do advertisements. These advertisements, however, have to be consistent with the pesticides registration certificate and the pesticide registration notice. The policy makes sure, that the public opinion about pesticides is not misled. Advertisements shell not contain scientific research recommendations, the image of users to justify, claim the effectiveness, violate safety requirements, or similar content. This policy supports the healthy, pragmatic, and rational development of the pesticides industry in China, enhancing the rights of farmers and other users to secure a sustainable environment. The export into developed countries is complicated for China since they are favouring the interests of international agrochemical players with pesticide residue standards, technical standards, and anti-dumping litigations. This is, where the project the Silk Road Economic Belt and 21st Century Maritime Silk Road Initiative of the Chinese government is making a difference. More and more Chinese pesticides manufacturers are turning their eyes and efforts onto the countries alongside the silk road, enhanced by enormous development opportunities. To confirm this outlook, also the Plan for Petroleum and Chemical Industry Development (2016-2020) mentions the focus of the Chinese pesticide manufacturers in increasing their production and find new markets in the countries alongside the Belt and Road. The trend of China’s manufactures doing increasing business with companies from Asian and Africa is mirrored in the attendance of the CAC 2016. According to CAC, the share of companies from Asia and Africa has been over 53% combined. Attendees from Europe have been about 18% and Attendees from North America just around 7%. Most of the attendees are Manufactures with a share of 47% and second ones are Importers and Exporter, achieved an attendee share in 2016 by almost 34%. The statistic shows how important the exhibition is for Chinese manufacturers and the importers and exporters to the deferent countries. According to CCM, the total export volume of pesticides in 2015 from China has been 1.51 million tonnes. This is the first decline in the last five years. The total export value reached an amount of USD7.28 billion. Also, the import of pesticides has experienced a decline with only 58,000 tonnes import 2015. In 2014 it has been still 67,000 tonnes. Furthermore, 71.10% of the total export value of pesticides in 2015 belonged to 22 countries alone. The rest 28.90% were exported to around 160 different countries. This shows the high concentration of China’s pesticides export to a few amounts of highly concentrated markets. According to China Customs, the top importer in 2015 has been The USA, Brazil, Australia, Argentina, and Vietnam. Except for Australia, all of these importing nations have listed a decline in imports. After a deeper look into the 22 most important importers of China’s pesticides, a huge amount of important agricultural countries is being visible. Two of them are the biggest importers of pesticides, like the USA and Brazil. As a fact, the global share of agricultural production is highly concentrated. According to the Food and Agriculture Organization of the United Nations from a report in 2014, the share of the 10 most important agricultural producers of Soybeans, Rice, Cotton, and Wheat is 95%, 83%, 81%, and 70% respectively. Furthermore, the report states, that the big agricultural nations also include countries with few pesticides imports yet, like Bangladesh, Burma, Cambodia, Uzbekistan, Turkmenistan, Kazakhstan, Ukraine, Tanzania, and Mali. Looking at a map it becomes clear, that many of these nations are located on the Belt and Road. However, CCM has analysed the fastest growing importing nations of China’s pesticides in 2015 and states, that many of the promising big agricultural producers already are in the list of the fastest growing importers of Chinese pesticides, like Iraq, Kazakhstan, and Uzbekistan with a year on year growth in export value of 146.73%, 48.48%, and 46.50% respectively. This demonstrates, that the trend of Chinese pesticide manufacturers is already going in the direction of emerging this markets. The trend is very likely to even grow faster in the near future, with the support of China’s The Belt and Road strategy. 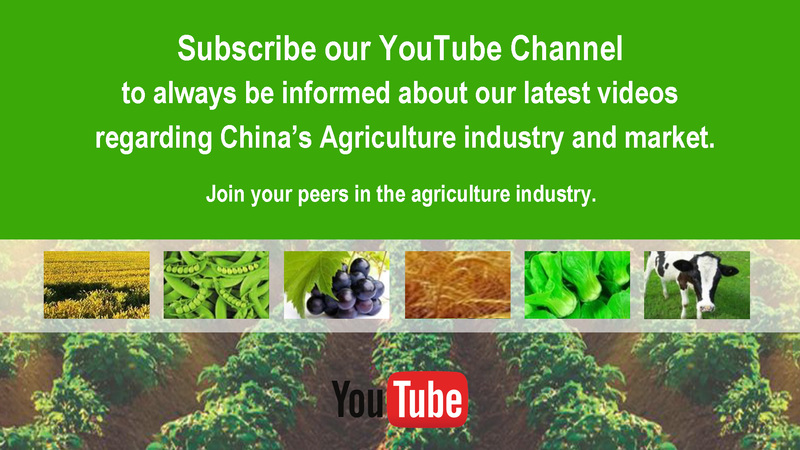 The increasing efforts of China’s government in the fight against environmental pollution has a huge effect on the Chinese pesticides industry in the coming years. As a fact, the measurements of the environmental bureaus have improved the supply situation of Chinese manufacturers to a huge extent. According to CCM, this industry experienced a downturn from the second half of 2014 until 2016. This trend is caused by many small and medium-sized enterprises leaving the market, not able to afford the environmental-friendly waste treatment technologies, the government is requiring. Other companies had to reduce or even cut down their production temporarily, to keep the environmental pollution from the production in a frame, not meeting the environmental standards. CCM predicts, that the number of pesticide manufacturers in China will continue to shrink in the future, due to the mentioned reasons. This all will enhance the supply-demand situation in China furthermore. The Chinese government is increasing the efforts in environmental protection. This also includes the enlargement of so-called pollutant discharge licenses, which will have an effect on China’s pesticides industry. The measurements come into action because the quality of air and water in many regions have not achieved the standard value for a long time. The new regulations are stated in the Environmental Protection Tax Law of the People’s Republic of China, which is going to come into effect on 1 January 2018. The main idea of controlling the pollutant discharge are discharged licenses, that requires mainly manufacturers with pollutant emission to be licensed until 2020. The goal of the licenses is to reduce and cut pollution, which will help to achieve the standard value of quality for many regions again. Although a pollutant discharge licensing system was in action before, it turned out as not very effective, due to an impractical placing of responsibility on organisations and the lack of appropriate supervision by the environmental protection departments, according to CCM. First of all, the system changes from an administrative area pollutant discharge system to a certain organisation affecting one. The applications for licensing should be done before the actual project construction, which serves as a reference for the planned regular environmental checks. It also allows authorities to monitor pollution in advance. The management of the licensing management requires a catalogue, created by the environmental protection departments, about the pollutant discharge. This will be accordingly changed to the different type of industries and their impact on the environment. The Organisations can then apply for the license by stating their pollution variety, amounts, and concentration. The governmental departments are requested to do inspections more frequently, according to the pollution emission of companies, and get the rights to punish blunder with production limitation, suspension, and shutdown. On the other side, the licensing system encourages organisations to give themselves stricter pollution limits, which can be regarded by preferential electricity prices and governmental preference. This newly implemented license will be the only permission for organisations to emit any pollution. Every other method will be illegal. The licenses will be granted for three years in the first place and five more years after every renewal. Bio-pesticides are in the focus of the Ministry of Agriculture of China and the Ministry of Environmental Protection of China. Therefore, the registration of biopesticides is highly supported in the recent years. Some of the benefits of the registration of bio-pesticides in China are cut down efficacy test times of the pesticides from two years to only one year and hence a cut down of the whole registration time. Also, customers and farmers are paying greater attention to the new more environmental friendly substitutions of pesticides for their products. This reveals a promising option for manufacturers and traders. Looking at the year 2015, bio-pesticides were accounted for 10% of China’s total pesticides market. The trend is expected to go upwards, while more and more traditional pesticides will be replaced by bio-pesticides. CCM predicts, that the supply and demand for bio-pesticides in China are going to increase remarkably in the years 2017-2020. However, manufacturers of bio-pesticides need to put the effort in marketing and branding to convince the Chinese farmers of the benefits of their products, considering they are still preferring the conventional way of crop protection. Chinese producers are concentrating their sales more on the overseas market at present, looking at markets like Europe, where bio-pesticides are gaining a market share of around 20% of total pesticides. What’s more, bio-pesticides are also in the focus of the CAC 2017 in Shanghai. The 18th China International Agrochemical & Crop Protection Exhibition in Shanghai will be an inevitable event for all companies that are dealing with their pesticides business in China. The exhibition will be held on March 1-3, 2017 with more than 70,000 square meters of area. The organisers are expecting about 30,000 visitors from over 120 countries. The CAC has become the largest agrochemical exhibition in the world, representing the largest platform of agrochemical products from pesticides, fertilisers, seeds, to manufacturing and logistic. Chinese farmers are preferring pesticides from overseas, because they have a better reputation, higher quality, and the producers enjoy a goodwill. However, domestic distributors of pesticides are often bad trained and don’t know how to effectively sell the products. Giving ones’ domestic supplier some training in effective sales will become a key factor for future marketing trends. Also, some benefits for the peasants, like preferential cards, coupons, and multi-channel marketing, will help to build healthy relationships in China and get market share. The sales team will play one of the most important roles to drive the revenue. At the current state, most of enterprises have only one sales person responsible for a region or province in China. However, this sales person needs to deal with market development, customers management, fund collection, explanation of technical knowledge, execution of the marketing plan and more. To build long-lasting relationships, a team of several sales person is necessary, to deal with the clients directly and not get overwhelmed by a broad spectrum of tasks Furthermore, sales teams should keep an eye on whole China, able to switch between northern and southern China, when the peak seasons are changing. An implementation of a management platform will ease the daily life of sales persons in China immensely. This platform needs all the information for the different sales teams, including promotion of terminal stores, management of sales persons, and promotion of new products. This will help the marketing of the sales person and ease time. Finally, companies have a huge advantage when visiting the CAC 2017 on 1-3 March 2017, to meet China’s top manufacturers and traders in Agrochemicals. This opens possibilities to build the brand awareness, generate new sales and leads, educate their buyers and keep connections growing. Meet CCM at the CAC 2017 in Shanghai. We are at booth number 4B55. Simply visit us or arrange a meeting by contacting Patrick.schreiber@kcomber.com. CCM is the leading market intelligence provider for China's agriculture, chemicals, food & ingredients, and life science markets. 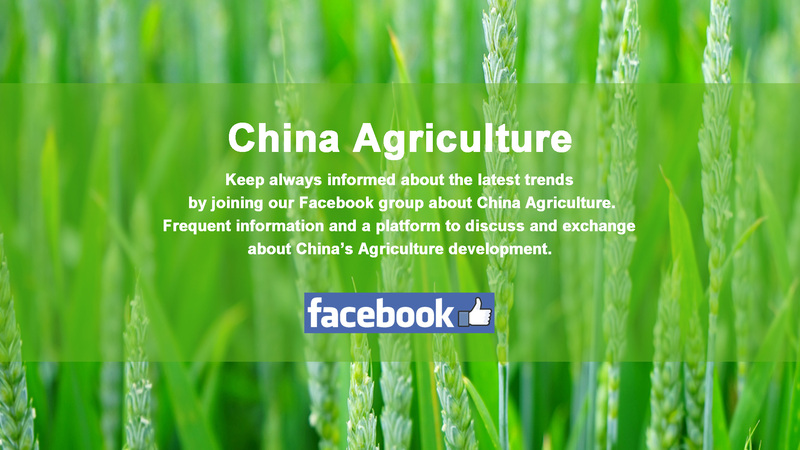 Do you want to find out more about the agricultural market in China? Try our Newsletters and Industrial Reports or join our professional online platform. For more trade information of corn, including Import and Export analysis as well as Manufacturer to Buyer Tracking, contact our experts in trade analysis to get your answers today.